From controversy over a certain “unpatriotic” article to thoughts on the most recent deportation, as well as more #Kony talk, check out what everyone was talking about yesterday. @seunfakze: Now I hope those “patriots” who said we were myopic two days ago can ask Britain to apologise or accept them back. @AbangMercy: No one is stopping #Kony on my TL…..Am I following the real people? @tee_hidee: When I read @KathleenNdongmo’s article this morning, it didn’t seem like what would metamorphose into controversy, but then, what do I know? @KathleenNdongmo: Some are literate enough to read, yet not wise enough to understand. @renoomokri: Power is transient. So is being in govt. Today its me. Tomorrow it could be you. SO let’s engage without bitterness. @ogundamisi: Britain reserved the right to deport anyone who violates her immigration law. But 120 Nigerians on a CARGO PLANE is worth #BolekajaDiplomesi. @seyitaylor: But that Kony video is special; simply because there have been so many videos of African sadness; I’m tripped that one got such attention. @TheEllenShow: Secretly dancing behind people on the beach is harder than it looks! 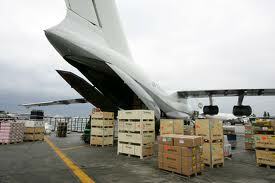 All dis european countries deport from time to time but 120 Nigerians ön a cargo plane,sumtin isnt rite bout it.